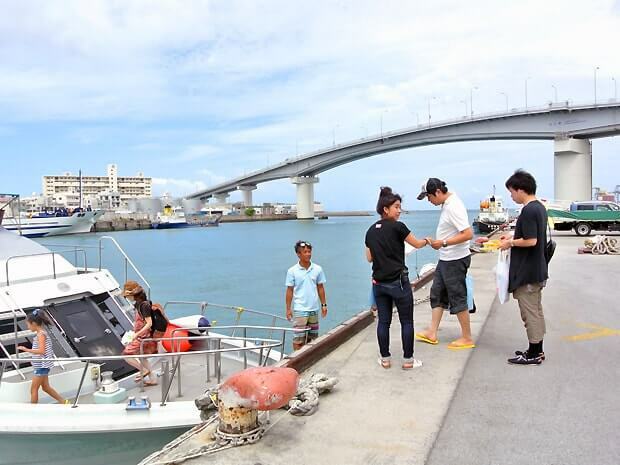 “Nagannu Island” is an island where you can visit on a small boat leaving from Naha, close enough for a day trip. 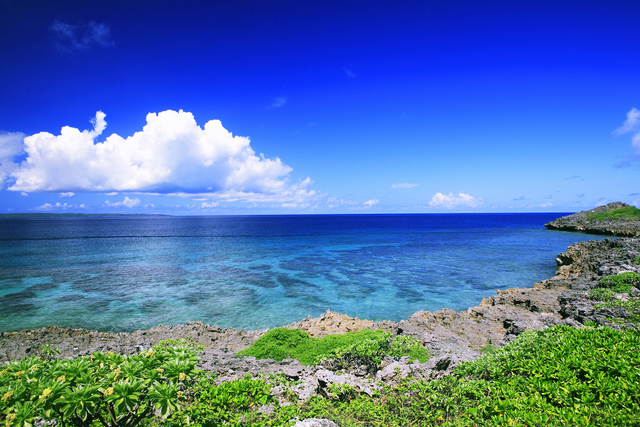 It is one of the Kerama Islands and popular for its beautiful ocean. 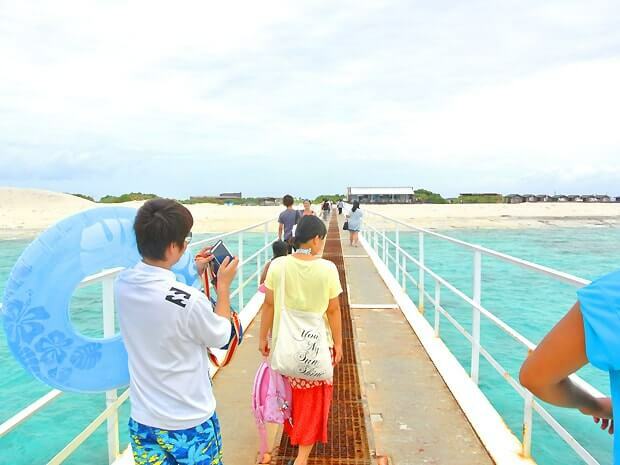 Today we will show you about our experience at Nagannu Island! We hope people who are thinking about going there will refer to this information. 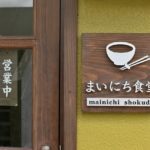 *All the prices mentioned in the article are written in July 20th, 2016. Currency rate varies depending on the financial situations. 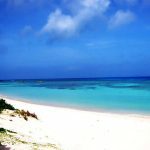 【1】 What is “Nagannu Island”? 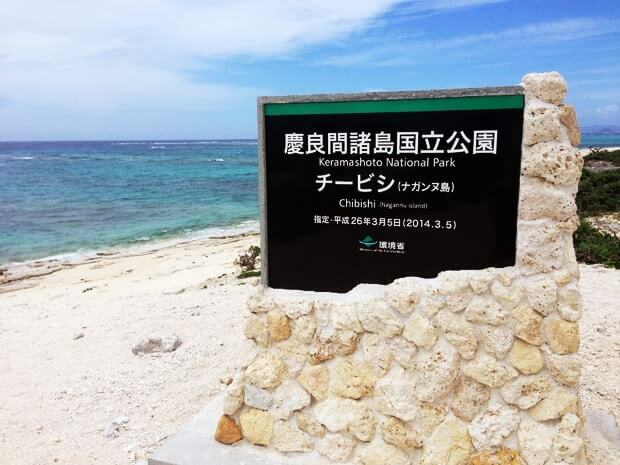 【1】 What is “Nagannnu Island”? 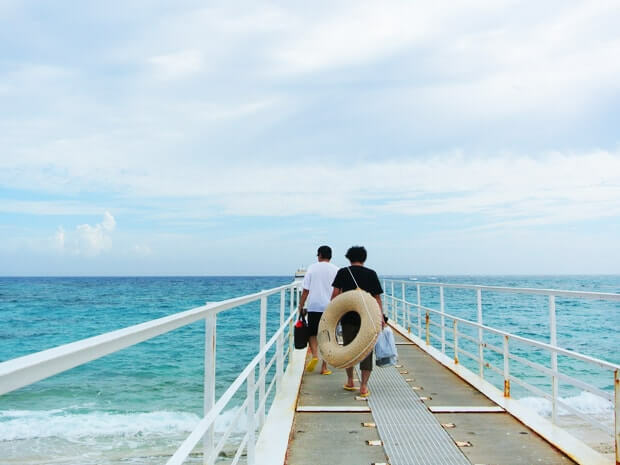 Nagannu Island is an uninhabited island that is 20 minutes away from Naha on a boat. 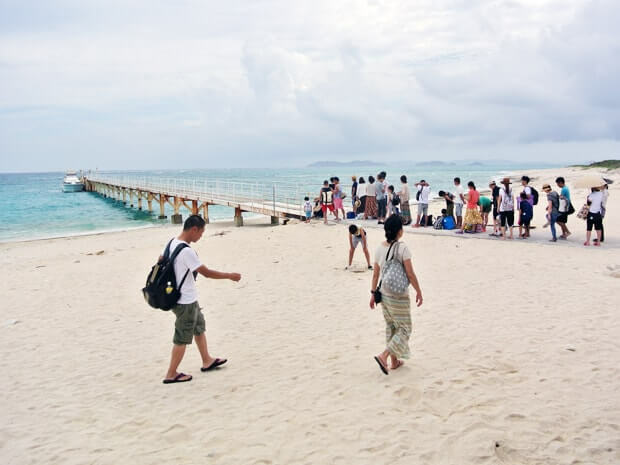 Although it is technically an “uninhabited island”, it has been developed as a beach resort *1 and it gets crowded with domestic tourists during the summer. 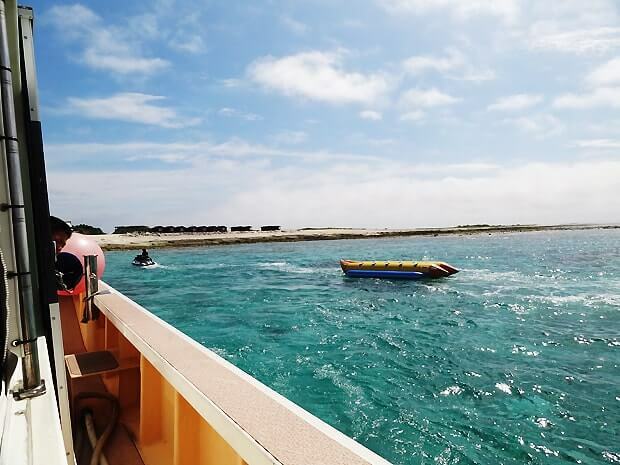 It is one of the Kerama Islands, named as the National Park in 2014 for its beautiful ocean and a rich ecosystem containing various creatures such as corals. 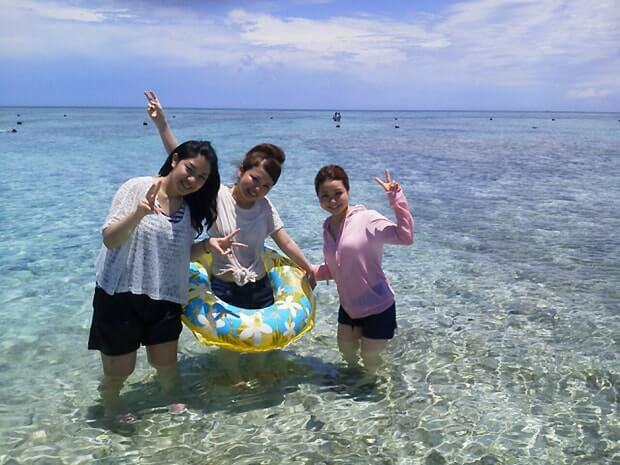 After hearing “you can visit one of Kerama Islands on a day trip”, we decided to go. We started putting a schedule together. We could stay there too, but since we have other plans, we decided to go there on a day trip. 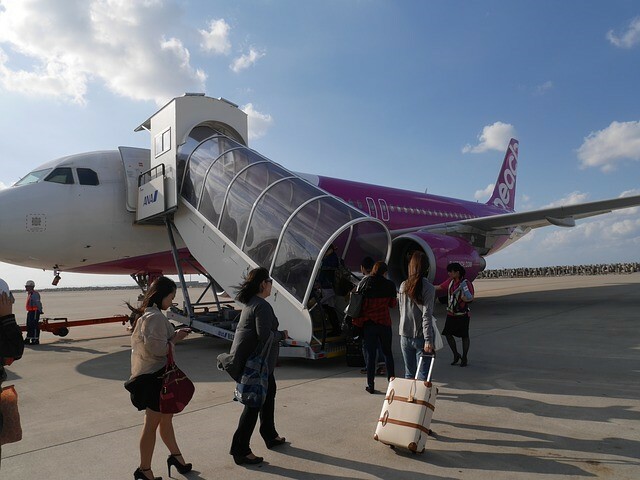 You can reserve a round-trip ticket. You can stay at the island for five hours. 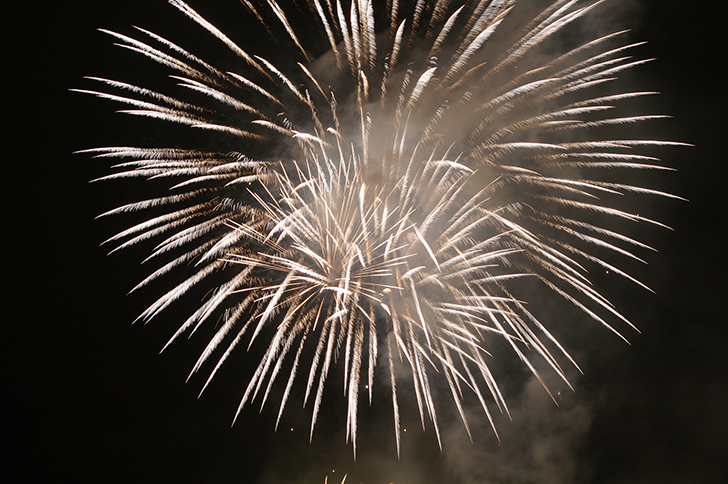 We had plans at night, so we decided to go with the earliest one, “#1 (8:30 ~ 14:00)”! 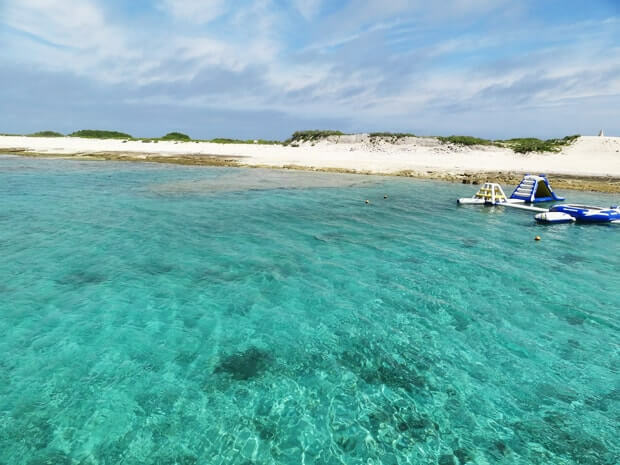 You can make reservations from the official Nagannu Island website or the optional tour reservation website. 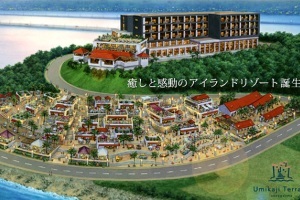 You can choose from a wide variety of plans from “Activity plan” to “Lodging plan”. It also has the largest amount of information about the island! Although you can make online reservations, it does not seem to have a “my page” feature. 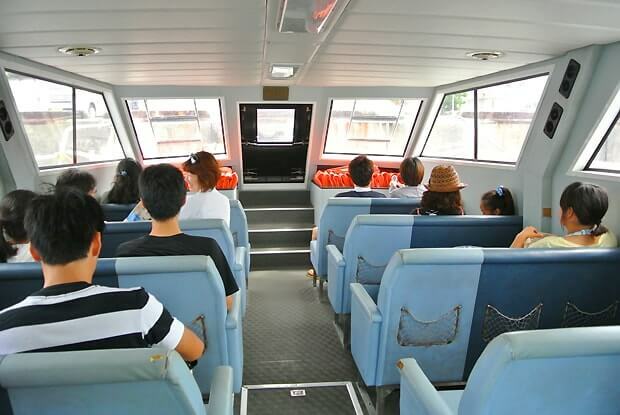 You can reserve basic plans such as “round-trip boat + lunch”. 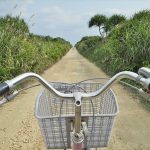 You can look at reviews of other guests and check out other activities available in Okinawa. There are many websites that have a “my page” feature, it might be easier to use. However, there are less plans to choose compared to the official website. 【3-1】Oh no! Our boat has been cancelled due to bad weather! Since we reserved the 1st boat (leaving at 8:30), we told each other “let’s get up early tomorrow” on the night before. 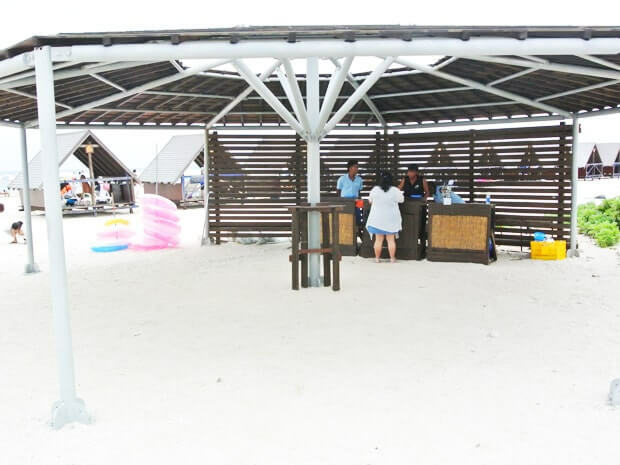 Then, we got a call from the company managing the Nagannu Island tours. They said our boat was cancelled due to bad weather. Instead, we could ride boat #3 (leaving at 10:30). 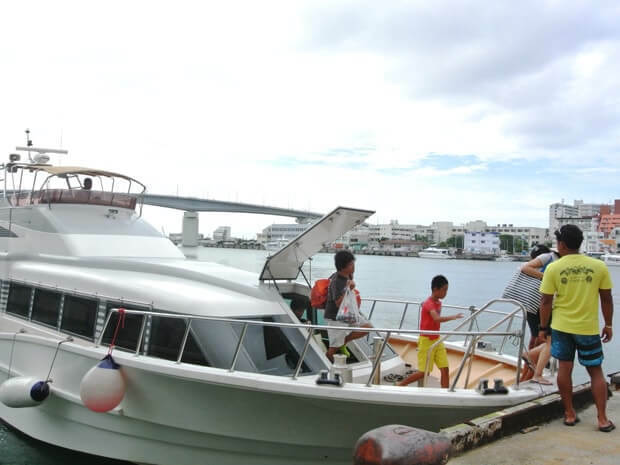 Since we wanted to go there badly, we decided to take the boat #3. It changed our schedule, but we were able to enjoy breakfast at the hotel, so everything worked out OK. 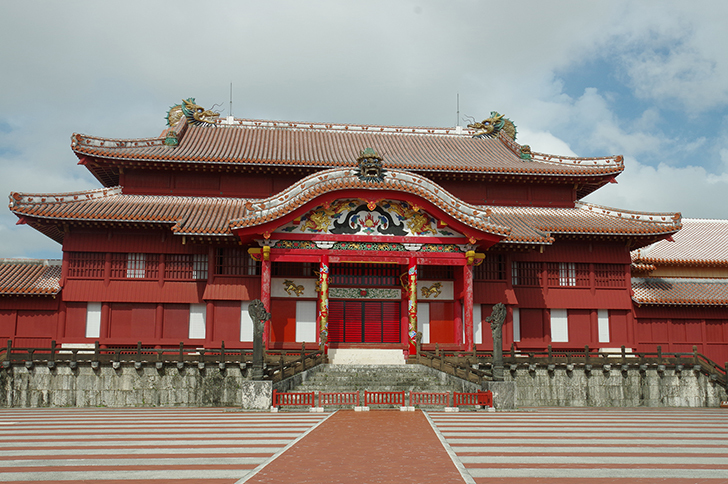 Participants are to meet at the gathering place, “Tokashiki Inc. Office (3-14-2 Tomari, Naha city, Okinawa)” in front of Tomarin. Look for the “Tomari Intersection” on Route 58. 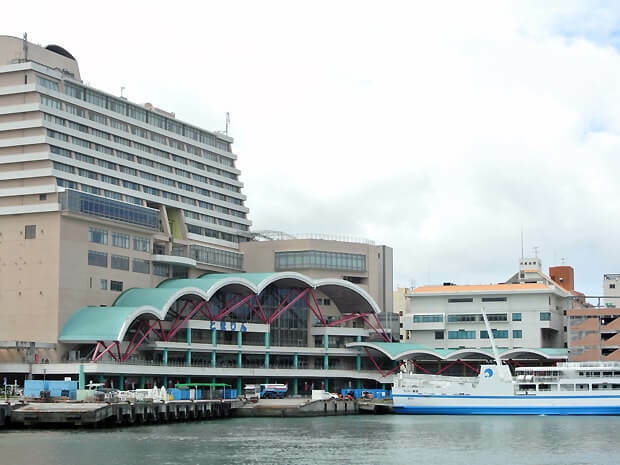 There are two parking lots, “Annex Parking Lot” and “City Parking Lot” in front of the port. 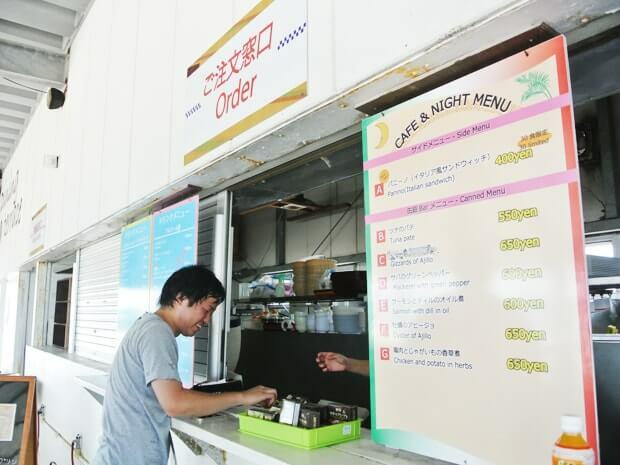 They are both ￥200 ($1.90) for the first hour and ￥100 ($0.95) per hour for the following hours. Get off at Miebashi station, 10-15 minutes on foot. Ask the driver to take you to “Tomari Port”. 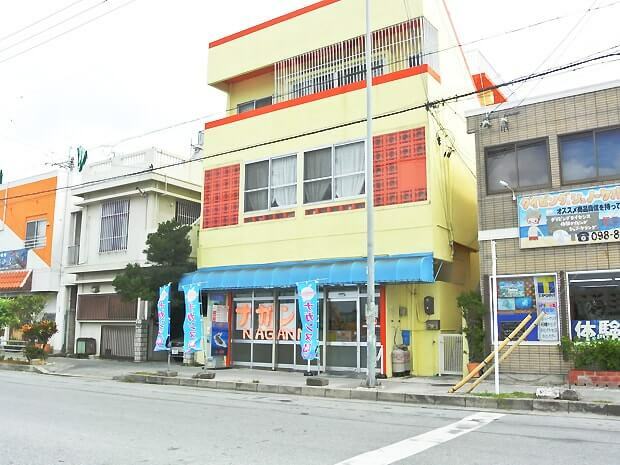 20 minutes away from Naha airport without traffic. There is “Family Mart” across the road. 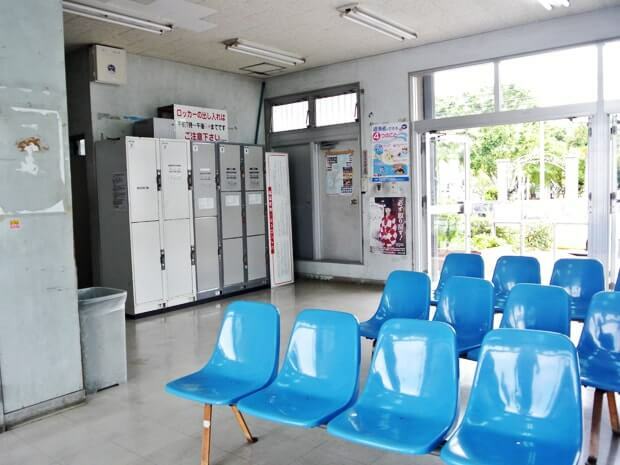 Also, coin lockers are available in the port’s waiting room. 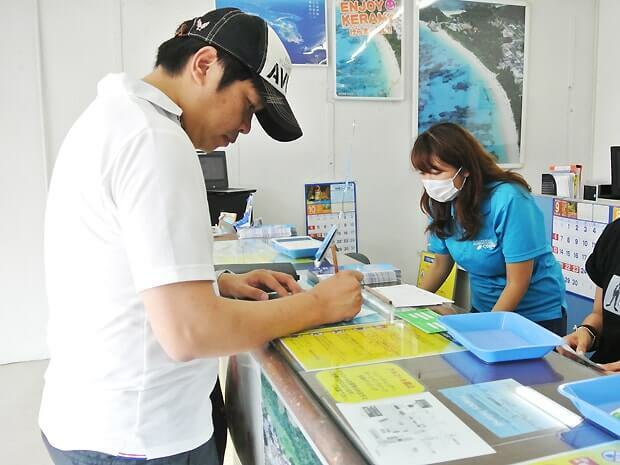 Tell them that you have a reservation at the counter and pay the fee after waiting for our boat. It’s time to head out! The boat fits about 40 people. You can choose to sit inside or outside on the deck. We decided to sit outside on the deck. Water splashing everywhere!! And the boat shook so much!! It was probably due to the bad weather, but the boat ride was quite rough! Good thing is that I took medicine for motion sickness beforehand. Halfway into the boat ride, we could no longer film because we were scared to let go of the handle. It shook up and down. We felt the floating sensation which you get on a roller coaster many times. As we were holding onto the handrail, we got a glimpse of the beach. And finally, we are here! The vast emerald green ocean beneath us! 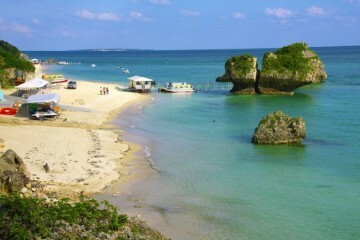 Nagannu Island is 1.7km (1.05mi) long on the west/east direction and 200m (0.12 mi) wide on the north/south direction. 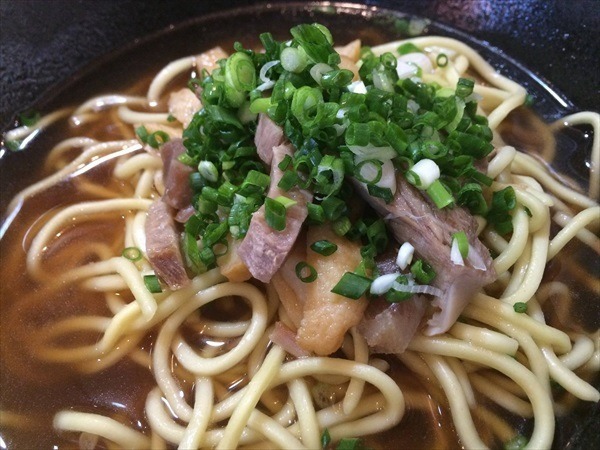 It is long from side to side. There was a tall place that stood out in the middle. There, we found a monument that showed this was a national park. We looked around the island 360 degrees from this location. On the south side of the restaurant, there were ports, cottages, and restaurants. On the north side, there were beaches, parasols, and rest cottages. 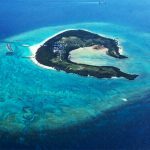 Nagannu Island is an island made out of corals. 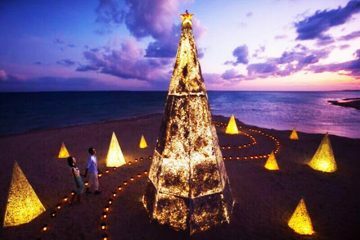 It is covered with coral sands. 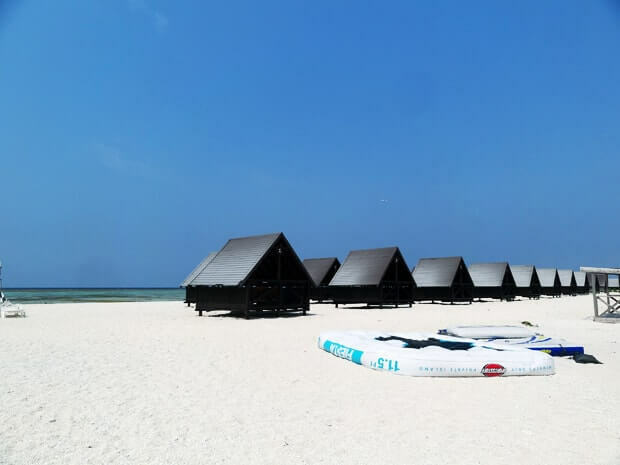 The contrast of the white sand and emerald green ocean gives it a great tropical atmosphere. 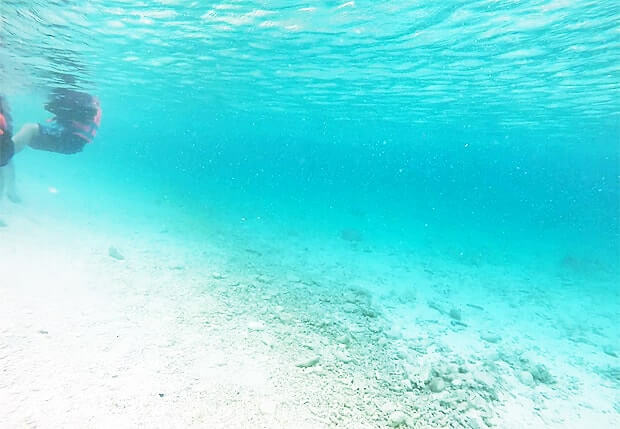 Even though they are small, walking on pieces of corals barefoot hurts! 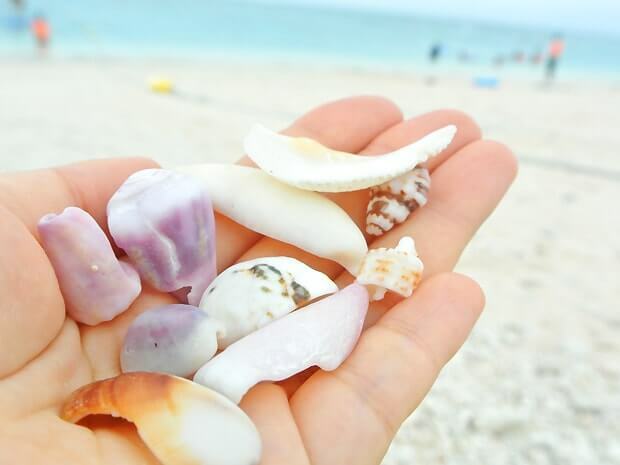 We recommend you to bring marine shoes because of the corals. 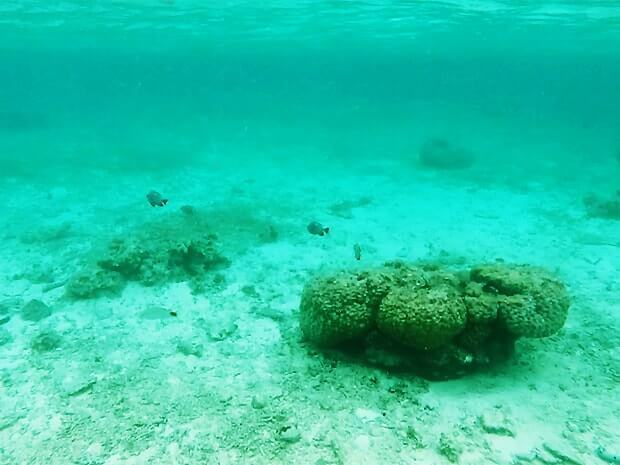 The sand inside the water is small, and the ground is packed with corals up to the edge. 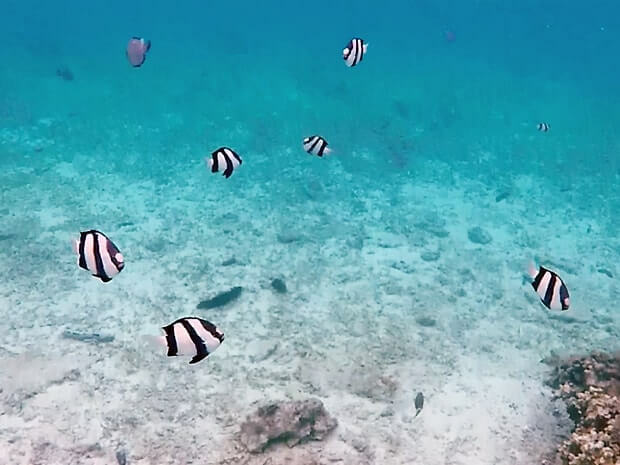 Take a look inside the ocean to see a school of tropical fish. 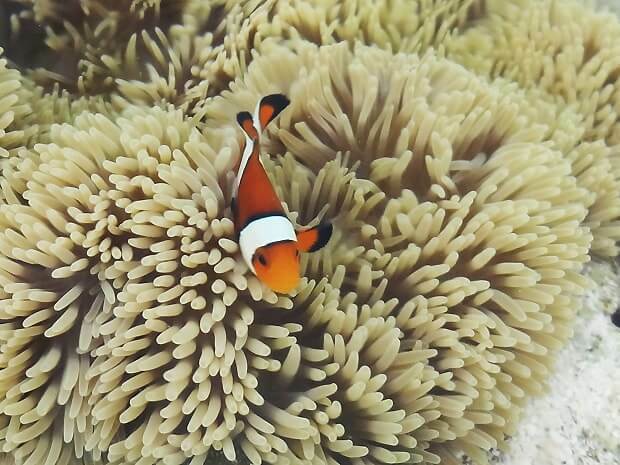 If you’re lucky, you might be able to see a clownfish in the shallow parts of the ocean. But be careful, the water level rises quickly. If you swim just a little bit, you won’t be able to stand on your feet. 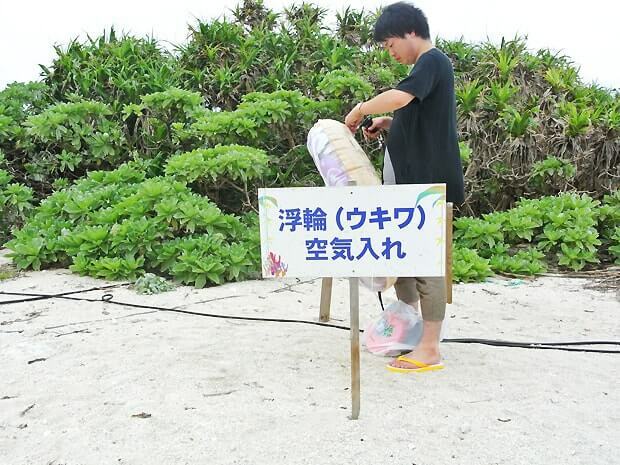 Also, there are lots of sea-cucumbers, so be careful. It was not the biggest beach ever. 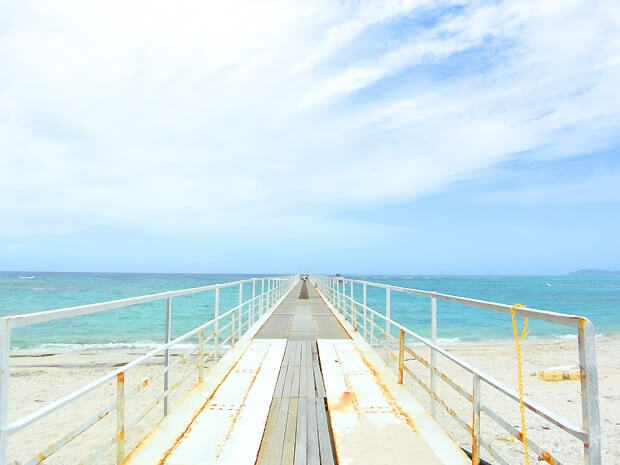 The lifeguard was able to overlook the entire beach. 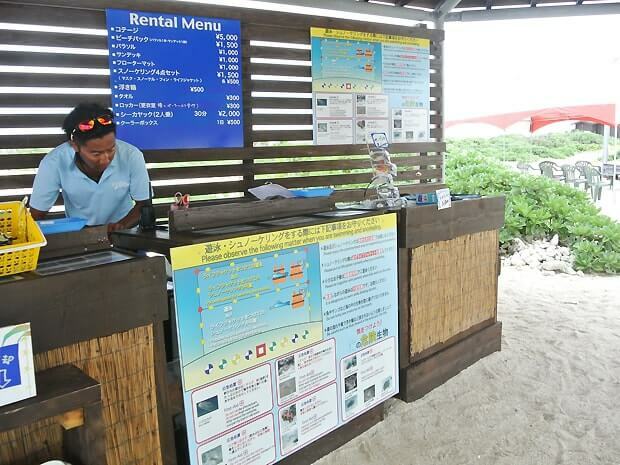 You can rent items for your stay at the rental counter located at the center of Nagannu Island. There are no shades on the beach. 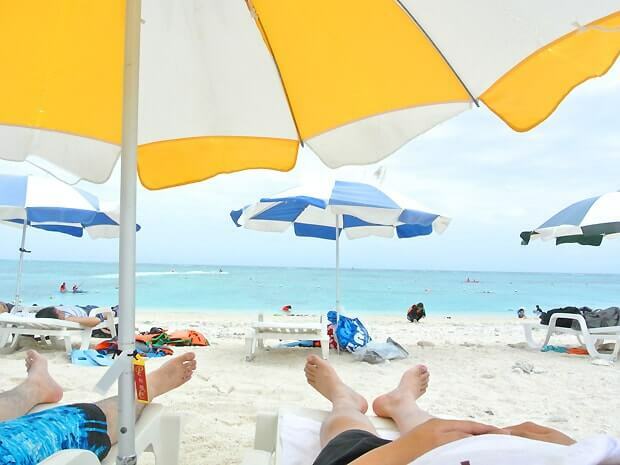 Since we wanted to swim and wouldn’t rest too much, we decided to get “Parasol x 1, Chair x2 for ￥2,500”. We picked out a parasol and got a “in use” tag. Like this, we took a nap in the middle. On this day, there were there of us, all adults. It was pretty cool when we visited. If your group is one of the above, we recommend the rest cottage. You can rent a whole set for ￥1,500(USD 14.11). 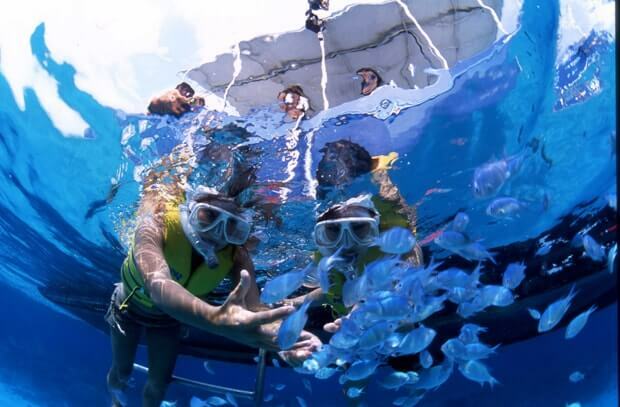 If you came all the way to Kerama ocean, you have to snorkel! We didn’t rent this, but it looked really fun. If you want to lie down on the water, it is highly recommended. It seem to be useful on the beach as well, people were using it like mattresses. Off to the ocean using the rental snorkels! 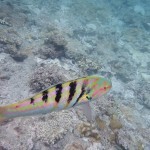 We got to see all different types of tropical fish. Change the location and time, and then dive multiple times for new discoveries! So thrilling! Getting loud with everyone is so much fun. Play hard, compete, or relax on the floating mat or a tube and ride the wave. There’s something fun for everybody. 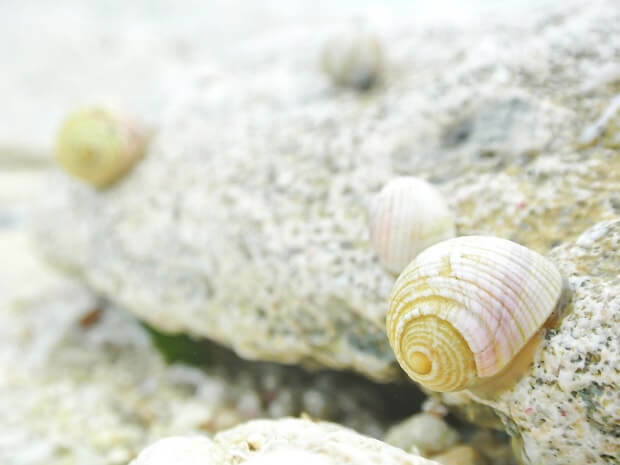 Nagannu Island is packed with hermit crabs! 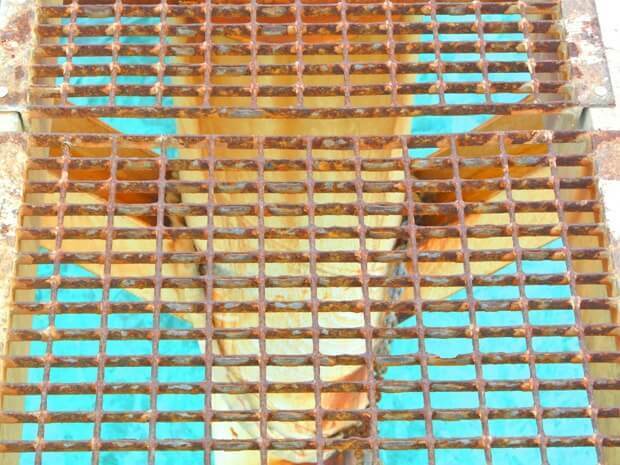 You can spot them in various locations around the island. The picture above is the one we found at the restaurant. There are a lot of them especially around the bushes near the center of the island. 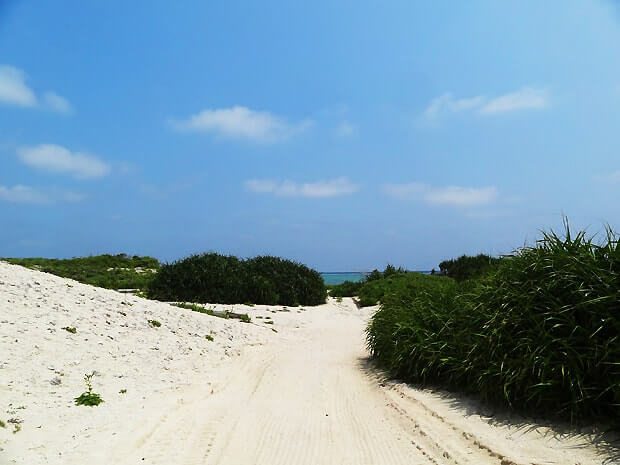 This is a small road that leads us from the pier on the south side to the beach on the north side. 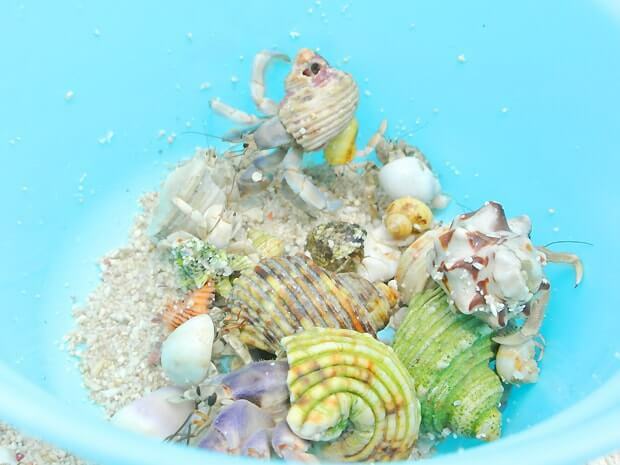 We became friends with a family with a child in kindergarten who was collecting hermit crabs in a small bucket. So colorful!When they feel the slightest vibration, they pull their heads right in. It’s so cute. 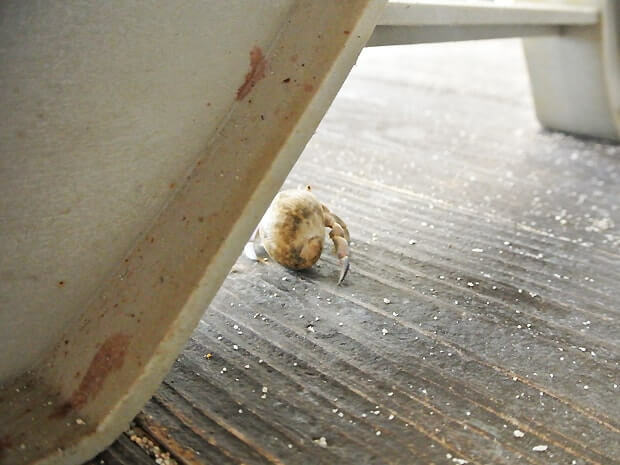 We also picked up a shell but a small hermit crab popped out. 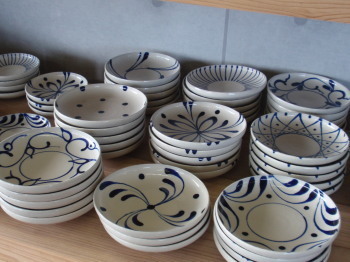 Once you start collecting them, you’ll notice that there are so many sizes, shapes, and colors. 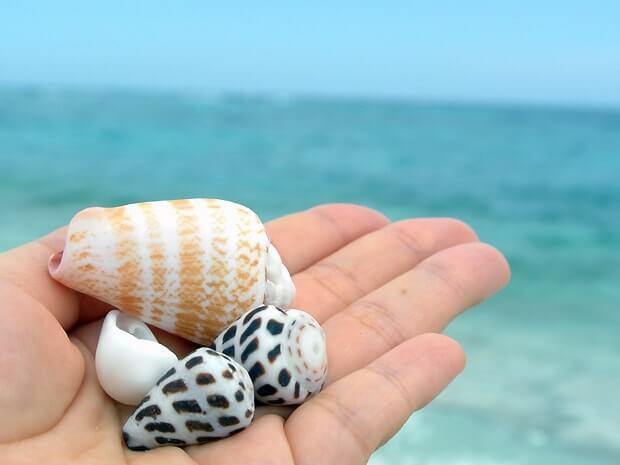 Collecting shells like there is no tomorrow. Riding the boat to the spot recommended by the local staff where we can have it all, “transparent water/landscape/tropical fish”. 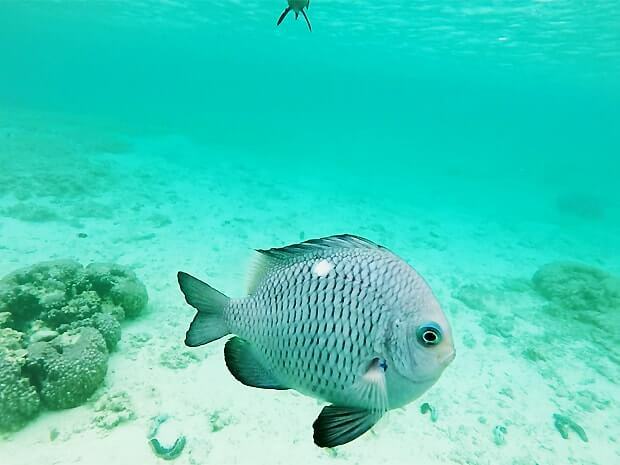 We had a nice relaxing time snorkeling in the beautiful ocean. 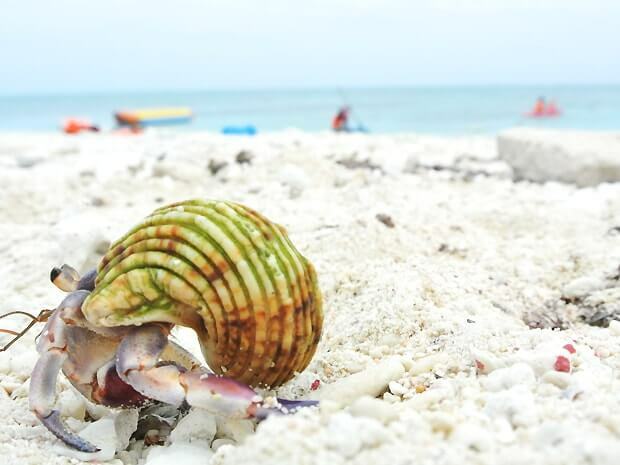 This activity was recommended by my friend, who said “you can only see this in Nagannu Island”. 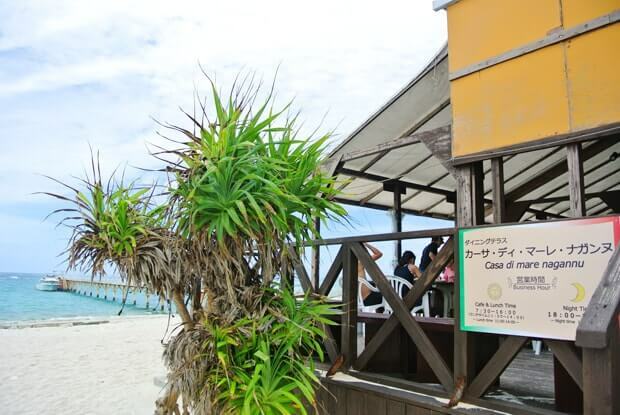 After playing in the sea, we went to “Casa de Mare Nagannu” because we get hungry. You are not allowed to bring in food or drinks to the island. So we ate a meal at a restaurant on the south side of the island. 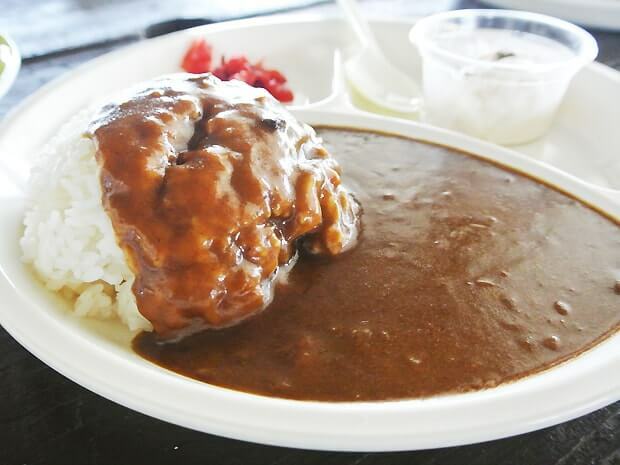 There are plenty variety of menu from lunch menu to side menu like snack. After 14:00, canned food and side menus are available. This picture below is panini (Italian Sandwich). 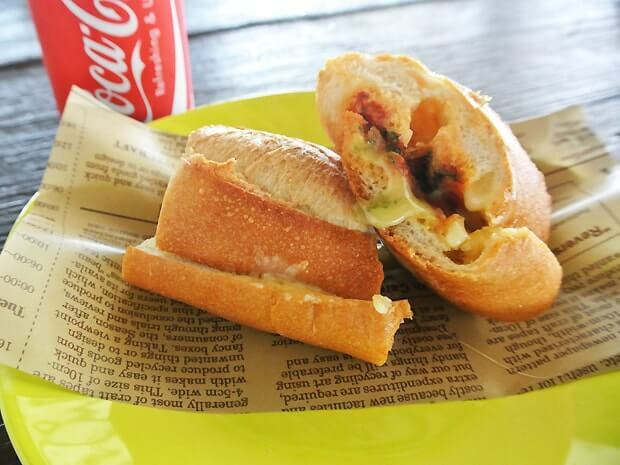 This panini is more than enough for woman as a lunch. Chewy beget will makes you full. 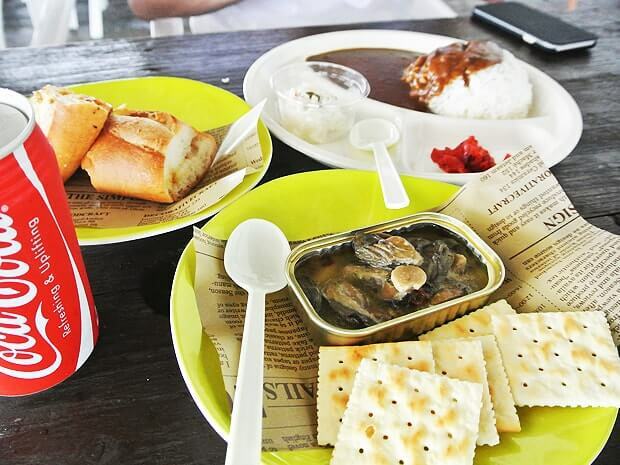 This picture above is canned”Oyster’s Ajillo”. This is heated and served with crackers. This ajillo tastes far better than we had expected! 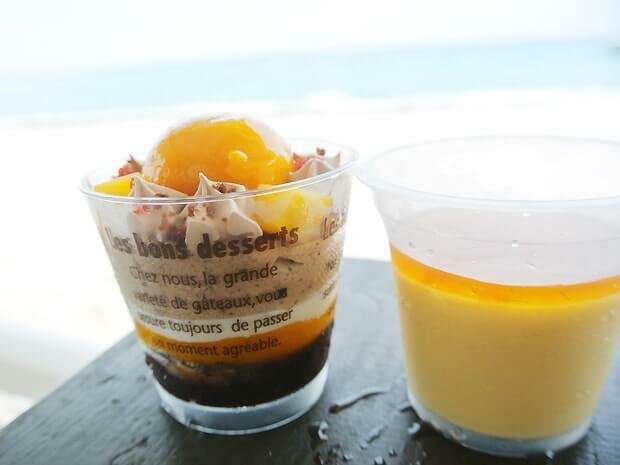 Cold mango ice sweets (￥400≒USD 3.81) and mango pudding (￥300≒USD 2.86). Especially the ice cream sweets, there were so many layers, flavors, and textures. We loved the variation of flavors! It had mango fruits, mango ice cream, whipped cream, black sugar crumbles, mango ice cream, and dacquoise. 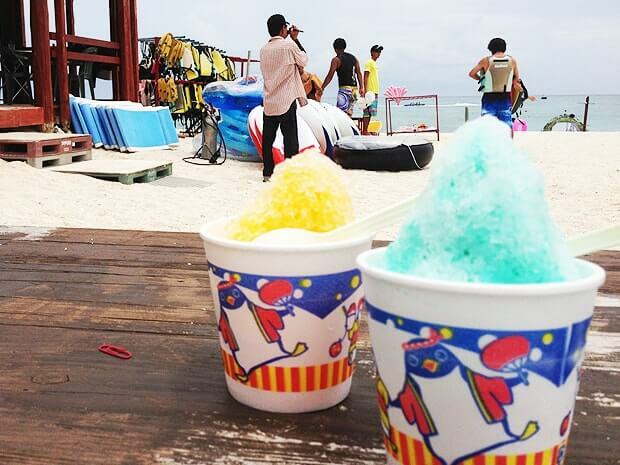 It’s not a restaurant, but you can also get shaved ice at the snack stand. Both soft drink and alcohol are available. Bottled water costs just JPN 100 YEN (USD 0.95). So cheap! However, canned Coca-Cola costs JPN 200 YEN (USD 1.91) and Sports Drink costs JPN 300 YEN (USD 2.86). The below chart shows other restaurant’s menu. Our return trip boat was leaving at 16:00. The shower room and locker room starts to get crowded, probably because people are leaving. There was a bit of trouble here. The shower and locker room of the island are basically a locker room with an added shower booth. So the floor is wet most of the time and there is no bench. You have to use the locker (paid) or you will not have anywhere to put your clothes, so it was a bit inconvenient. If you’re a woman, you might want to wear something you can throw on from the top like a one-piece dress. We went to the pier a bit early around 15:40. The boat was supposed to leave on 16:00, but everyone was already there, so the boat left early! The boat shook a lot as predicted. But compared to the morning trip, the ocean was calmer so it wasn’t that bad. We arrived at Tomari port at 16:10. Our five-hour island vacation was over. 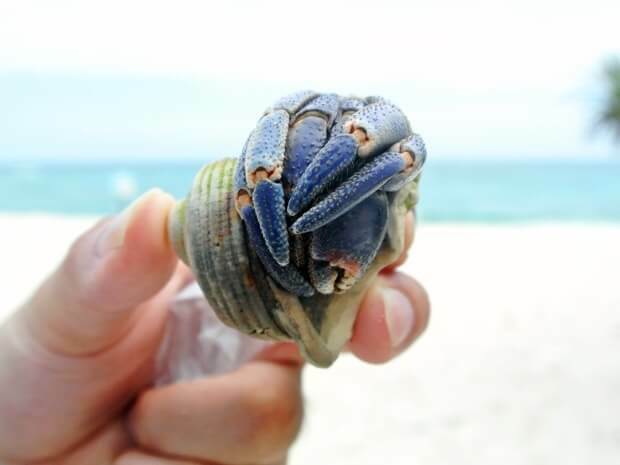 As long as you have general items for a regular beach swim, you’ll be OK. Here is a look back at the things we took with us. 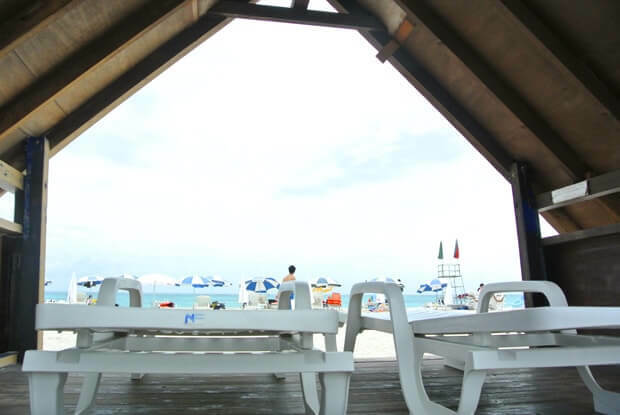 We recommend wearing the swimsuit underneath your clothes when you go. We recommend something easy to wear for a change of clothes. A must-have for a beach swim! However, there are corals in the sand, so marine shoes would be ideal. 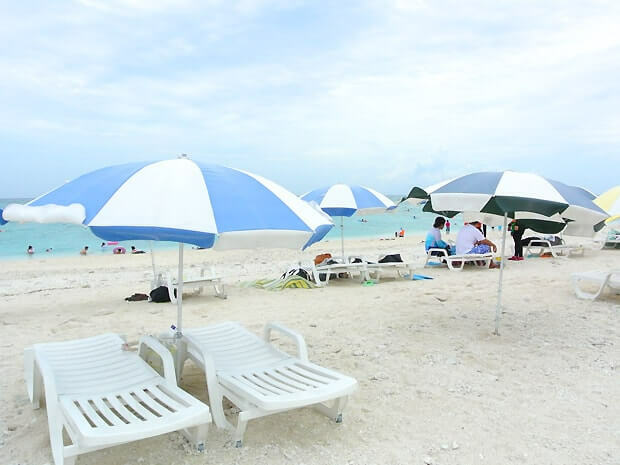 You will want a bath towel to “place on the deck chair”, “block the sunlight on the beach”, “after taking a shower”, and more. If you’re a woman and have long hair, take a face towel with you and put it on your shoulder after showering. It will help your hair dry. 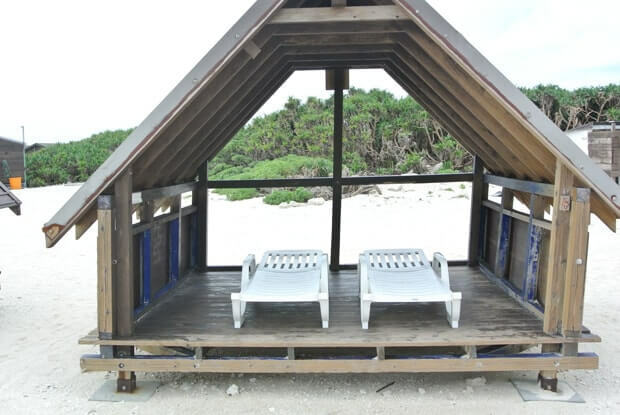 There aren’t many shades on Nagannu Island! My friend who didn’t put any sunscreen was saying the next day, “Ouch… I got burnt so bad…” all day long. If you have small children, this is a must-have! 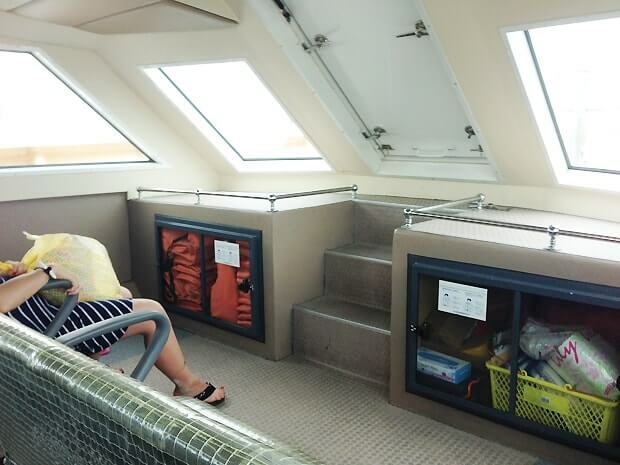 It is good for adults too because you can float around and enjoy a relaxing time. If you plan on using it many times, I recommend buying one. You can buy one at Don Quixote on Kokusai Street. 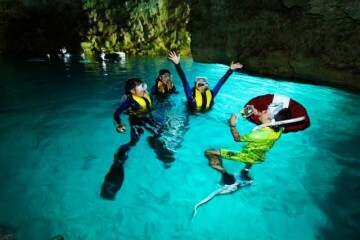 You must wear a life jacket when snorkeling. 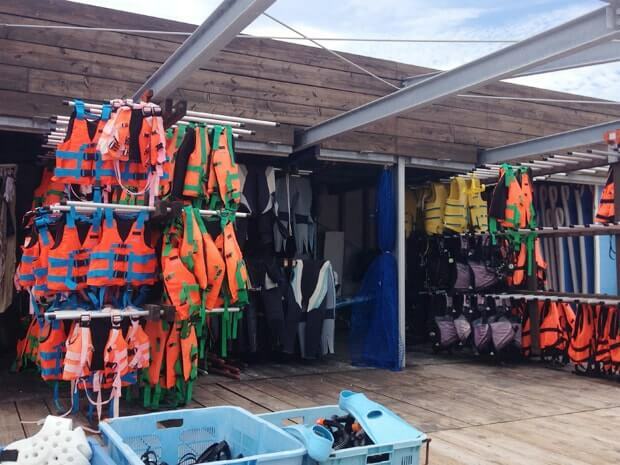 So you need to have enough money to rent a life jacket too (￥500≒USD 4.77). 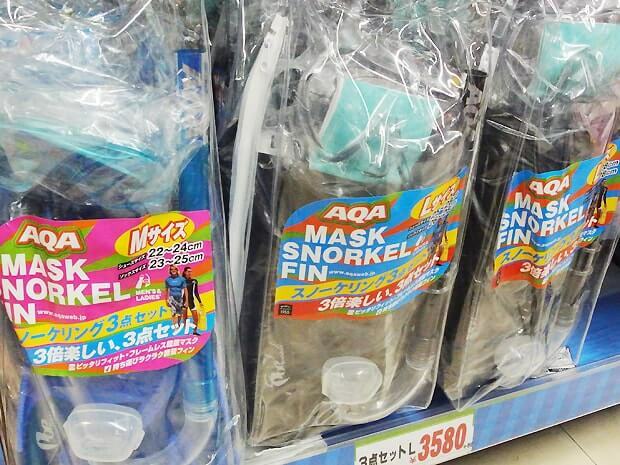 Maybe you won’t snorkel, but you will want goggles to take a peek underwater. The boat shakes a lot. If you’re worried, it would be best to take the medicine. 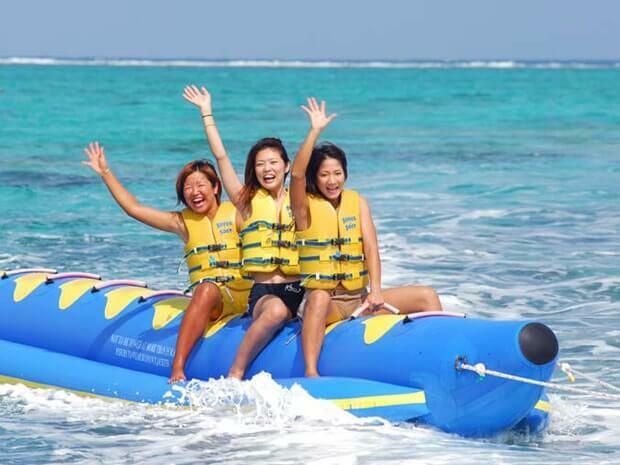 There are enough for 6-9 sessions for about￥700 (USD 6.67), so split it with your friends. You cannot use regular soap due to environment conservation. Have a eco-friendly soap with you. When you see the beautiful ocean, you will want to take a picture. These days, you can get cheap digital cameras at around ￥10,000～￥19,999 (USD 95.34~USD 190.67). Or you can get a disposable one. 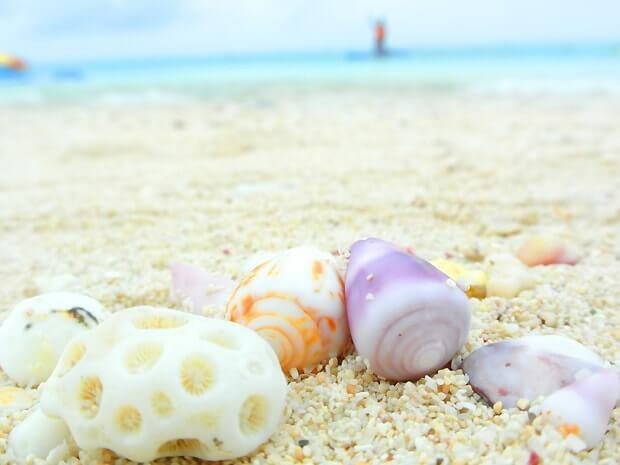 The sand contains corals, so it hurts to walk on it barefoot. This is for reducing garbage and protect the environment of the island. 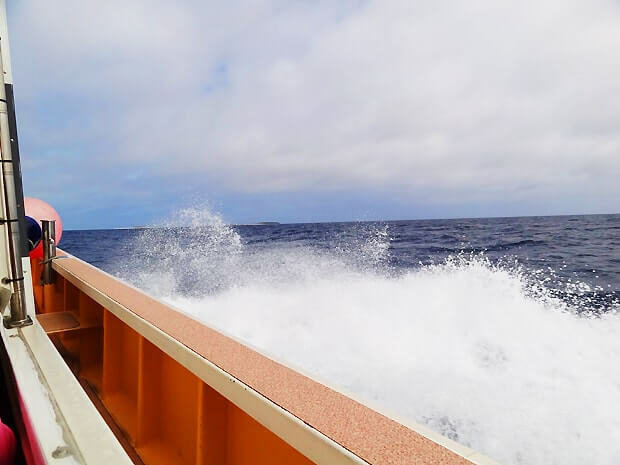 The boat shook a lot both ways, but on the way back we sat on the second row from the front on the inside and it was much better. We think it shakes more in the back seat. The handle bar on the front seat was a bit far away, so people had trouble keeping their balance. Either way, it’s just five hours. If you are worried, just take some motion sickness medicine. It’s beautiful but it varies depending on the weather. The weather was rough in the day before our visit. It seemed a bit clouded at times. (Even if you bring your own snorkel set, you need to wear a life jacket. ￥500 (USD 4.77) per jacket. You can save money if you and your friends take turns. 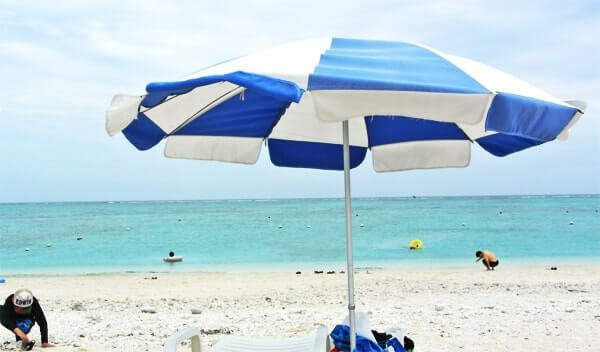 (￥2500 (USD 23.84) for a parasol + 2 chairs. 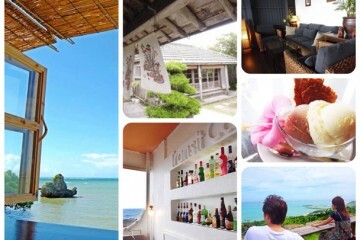 The cottage costs ￥5000 (USD 47.67) per day. 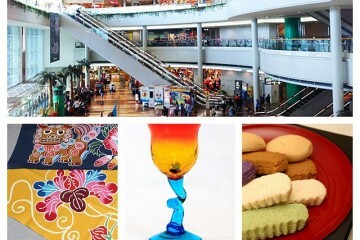 If you throw in some activities, expect to spend a few thousand more. So, if you have about ￥3000~￥5000 (USD 28.60~USD 47.67) per person, you won’t have to worry about much. We really enjoyed our stays in Nagganu Islands. 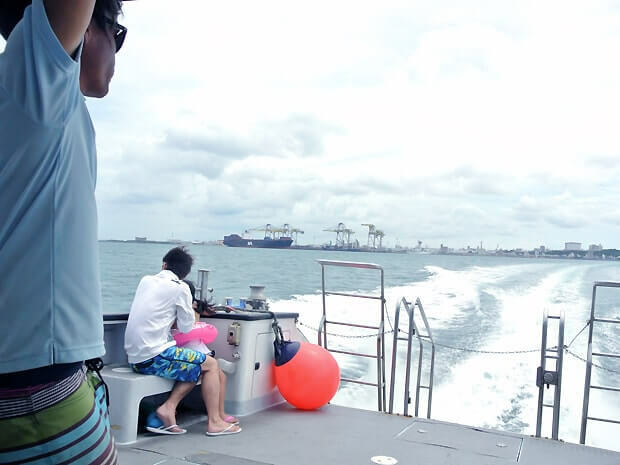 The shaky boat ride, the tropical fish, the painful coral we stepped on, these are all good memories now. 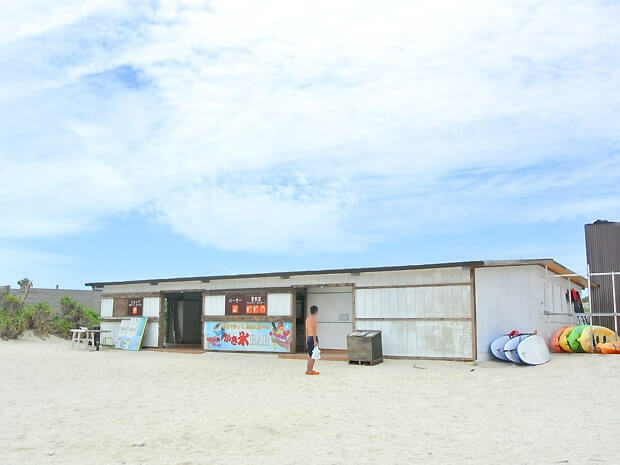 You can visit Nagannu Island in a day, so check it out!